Aon and Rugby Australia. Empowering results. Aon has a proud history of partnering with sporting brands that share a focus on diversity and inclusion, growth, sustainability and excellence. Think Manchester United, the Chicago Cubs, Irish Women's Rugby and Rowing Australia. We're thrilled to support Rugby Australia as its official risk partner and in the creation of excellence in how the game is run. Our role as the Official Australian Women's Sevens Team partner allows us to express our support for driving diverse and inclusive cultures, with a particular focus on the development of women in leadership. And the 2017 launch of the Aon Women's National University Sevens Competition means we have the opportunity to demonstrate our support for creating sustainable, elite teams through grassroots and pathway opportunities. Aon and Rugby Australia. Empowering results together. Australia has won the 2017-2018 HSBC Sevens World Series, defeating New Zealand in the overall standings by two points. The Aussie Women's Sevens won the Gold medal in Dubai and Sydney and claimed silver in Langford and Paris. 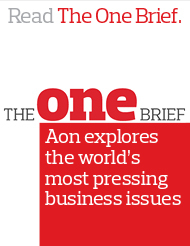 How can Aon help your organisation? As the Official Risk partner of Rugby Australia we are committed to helping Rugby Australia deliver excellence in how the game is run, ultimately leading to greater participation and opportunity. Aon is a leading global provider of Risk, Retirement, Health and Talent solutions for businesses of all shapes and sizes across Australia, including sporting bodies. Click on the hexagons below to find out how we can help you empower results for your organisation.